Salary : Rs: 2,00,000 - 5,00,000 P.A. Looking for MBA Finance applicants with minimum 1 year of experience. Candidate must have excellent finance and communication skills. (Mandate). This is a NIGHT shift process ( 6 PM - 3 AM). We are looking for applicants who can join us in 15 days or immediately. Thomson Reuters Corporation is a multinational mass media and information firm with operational headquarters at 3 Times Square in Manhattan, New York City. 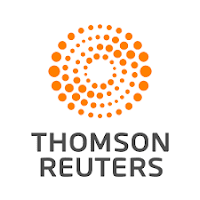 The firm was founded in Toronto, Ontario, Canada, and its legal domicile offices are located at 333 Bay Street in Downtown Toronto.Thomson Reuters shares maintain a dual listing on the New York Stock Exchange (NYSE: TRI) and the Toronto Stock Exchange (TSX: TRI).